Burlington Graphic Systems needed an updated website design that was fully responsive, mobile friendly, and easy to update on their end. We worked closely with the client to highlight their five main market segments: OEM, RV, Transportation, Marine and Power Sports. 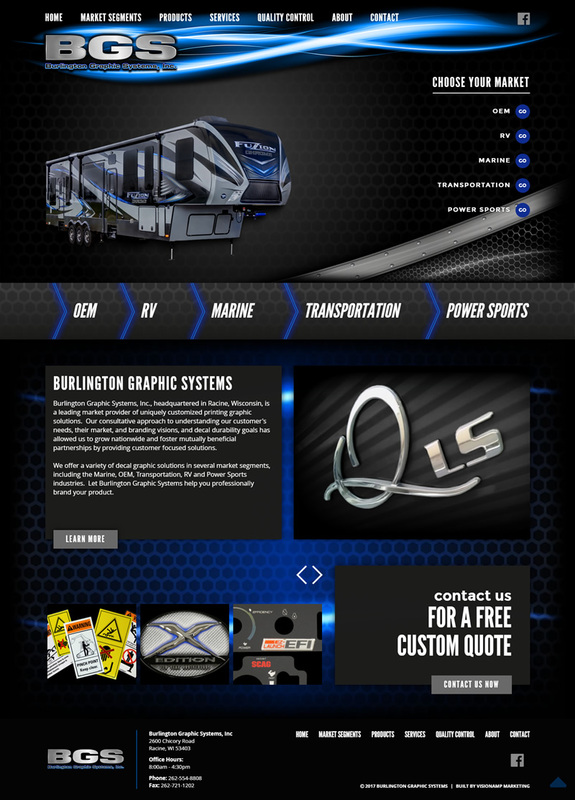 We custom designed and built landing pages that allowed them to showcase up close the graphic products and possibilities Burlington Graphics design and produce for those specific types of vehicles. Burlington Graphic Systems, Inc., is headquartered in Racine, Wisconsin and is a leading market provider of uniquely customized printing graphic solutions.